← Amaretto vs Ozimals: Wow, what a doozy! For a very long time now, Linden Lab’s corporate information only listed three people. Rod Humble, CEO; Jeff Petersen, VP of Engineering; and, Lisa Berry (General Counsel). There’s been an update, and the management team’s line-up looks far more comprehensive now. Malcolm Dunne is the Chief Financial Officer of Linden Lab and is a chartered accountant with 15 years of experience in the interactive entertainment industry. Dunne joined Linden Lab from Trion Worlds Inc, where he was CFO and a board member. He was instrumental in growing the organization to 450 headcount, $100m+ revenues within a 12 month period and closing debt and equity funding exceeding $100 million during his 3 1/2 year tenure. Prior to Trion, he was Interim CFO at SCi plc (the former parent company of Eidos), where he was instrumental in raising £60 million to recapitalize the business. Malcolm has also held positions at Capcom and Electronic Arts. As Senior Director of Product, Don Laabs has product responsibility for the massively multiplayer online platform Second Life. Prior to joining Linden Lab, Don spent over 20 years in the video game business at Electronic Arts, Mindscape, and the Software Toolworks as Senior Producer and VP Product Development. Don’s titles include Sims 3, Sims 2, SimsCarnival.com, Pogo.com, The Chessmaster (2100-7000), Majestic Chess, Warlords Battlecry, Earth 2150, the Miracle Piano Teaching System, Mavis Beacon Teaches Typing, Mario is Missing, Mario’s Time Machine, Wing Commander (SNES), and Life & Death I and II. Don started his career as a Software Engineer at Hewlett-Packard’s Microwave Technology Division. He holds a B.S. in Electrical Engineering and Computer Science from the University of California, Berkeley. 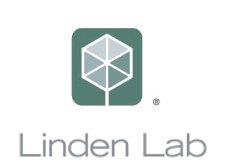 John Laurence leads the production of new products at Linden Lab. John has more than ten years of management experience in the video games industry. Prior to joining Linden Lab, John was at Sony for eight years, where he was the Studio Head and General Manager of Sony’s Taiwan Game Studio. Before entering the interactive entertainment industry, John was a management consultant at PricewaterhouseCoopers. He speaks Mandarin Chinese and holds a B.A. in Computer Science from Brandeis University. As VP of Human Resources, Lori Medeiros is responsible for fostering a culture of creativity, recruiting, retaining and managing talent. 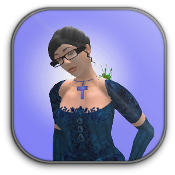 Prior to Linden Lab, Lori was the Director of Human Resources & Recruiting at LeapFrog Enterprises, where she led company-wide recruiting efforts that improved employee performance and retained top talent. Before that, Lori was at Hotwire.com where she helped grow the company from 70 to 200 employees and managed the people component of Hotwire’s acquisition by IAC and subsequent spinoff under Expedia. Earlier in her career, Lori was at Accenture where she consulted on business process design issues and later became responsible for the staffing and long-term career planning of more than 900 consulting professionals. Lori holds an MBA from the University of Notre Dame and a BS in accounting from Butler University. Lee joined Linden Lab as VP of Marketing in July 2012 with over a decade of experience in online marketing and e-commerce. Previously, she was VP, US Comparison Shopping and Online Marketing for Become.com where she worked closely with over 3,500 of the top online retailers as well as with strategic partners such as Google and eBay. She also ran Broadspan Commerce, a conglomerate of e-commerce sites (like Totalbedroom.com and Directlyhome.com) specializing in home furnishings and decor. Earlier in her career, she oversaw marketing for the Naked Juice Company’s East Coast operations where she was on a team that grew the business and subsequently sold it to PepsiCo in 2006. Lee holds an MBA from The Harvard Business School and a BA in History with minors in French, Spanish and Italian from Brandeis University. This entry was posted on Thursday, 8th November, 2012. You can follow any responses to this entry through the RSS 2.0 feed. Both comments and pings are currently closed. 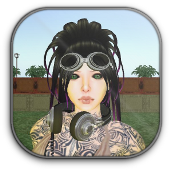 Categories: Linden Lab / Linden Research Inc.